Finance Minister in Janata Cabinet of Morarji Desai, 24 Jan - 16 July 1979. Prime Minister in a short lived government with the support of a coalition of political parties including the Indira Congress. On 24 January, as a result of multiple attempts at reconciliation with Morarji Desai, came back to the Union Cabinet as Deputy Prime Minister and Union Minister for Finance for a brief period till 16 July. Presented the Union Budget in Parliament on 28 February 1979, making a point of his rural and anti-urban bias. He knows this to be only a symbolic statement, too little and too late, but he just had to make it once he had come this far. Continued differences with Morarji Desai, machinations by the dominant Jana Sangh faction and by Jagjivan Ram and some very ill advised actions by lieutenant Raj Narain and other former Socialists lead to the final break-up of the Janata Party. Resigns from the Union Cabinet on 16 July. Invited by President N Sanjiva Reddy to become the 5th Prime Minister of India on the basis of the Parliamentary support enjoyed by his disparate coalition. Becomes Prime Minister of India from 28 July 1979 with the support of Indira Gandhi’s Congress (I). Submits his resignation on 20 August 1979 without facing Parliament, on the day of vote of confidence, as the Congress withdraws its support due to his inability to confirm that he would withdraw criminal cases against Indira Gandhi and son Sanjay. 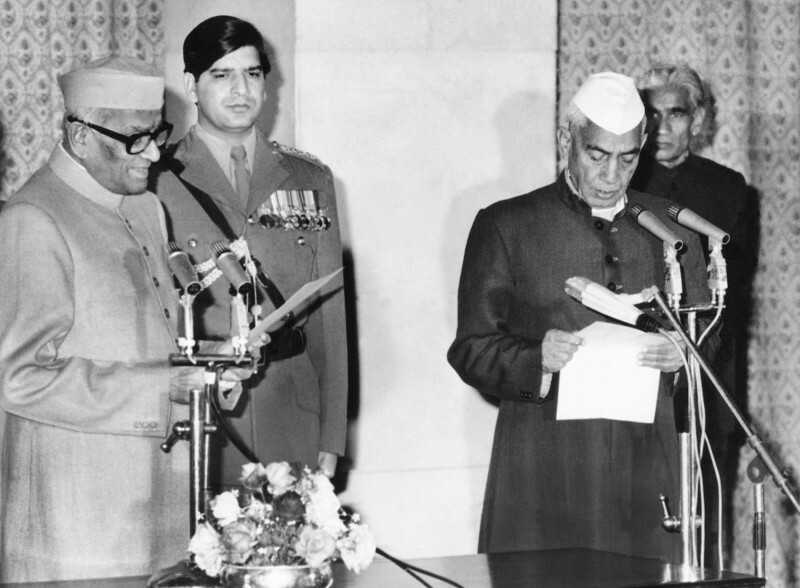 Continues as caretaker Prime Minister till 14 January 1980, when mid-term elections are held to Parliament.